"Working with Saevil Row was the absolute right choice for our business. We found that Rachelle was a tremendous listener, which ultimately led to a beautiful logo and brand package that is perfectly aligned with our vision. She was able to take all of our ideas and boil them into a beautiful product due to her professional way of leading us down a path together. We cannot thank her enough for all she has done for us and look forward to working together again in the future!" When it comes to timeless brand identities, we're total suckers for sleek lines and beautiful details. 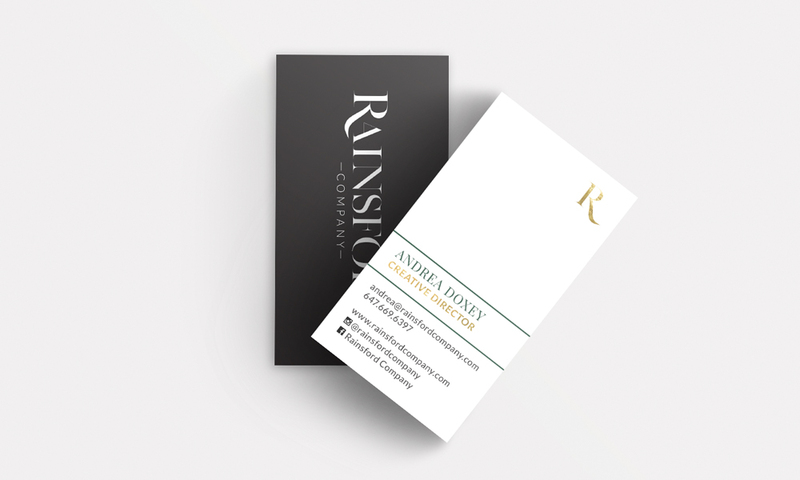 Rainsford Company engaged us to bring their vision to life and the outcomes was exactly that. 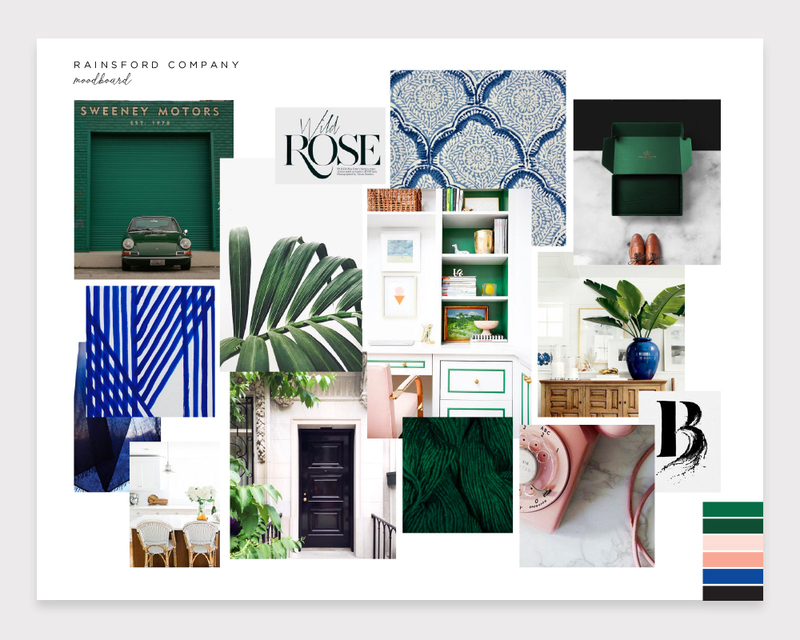 We started with a mood board that brought together the essence of their concept for a curated lifestyle brand and pulled elements in for a finished look. The final brand identity has a touch of femininity but a strong mark that will carry them through.